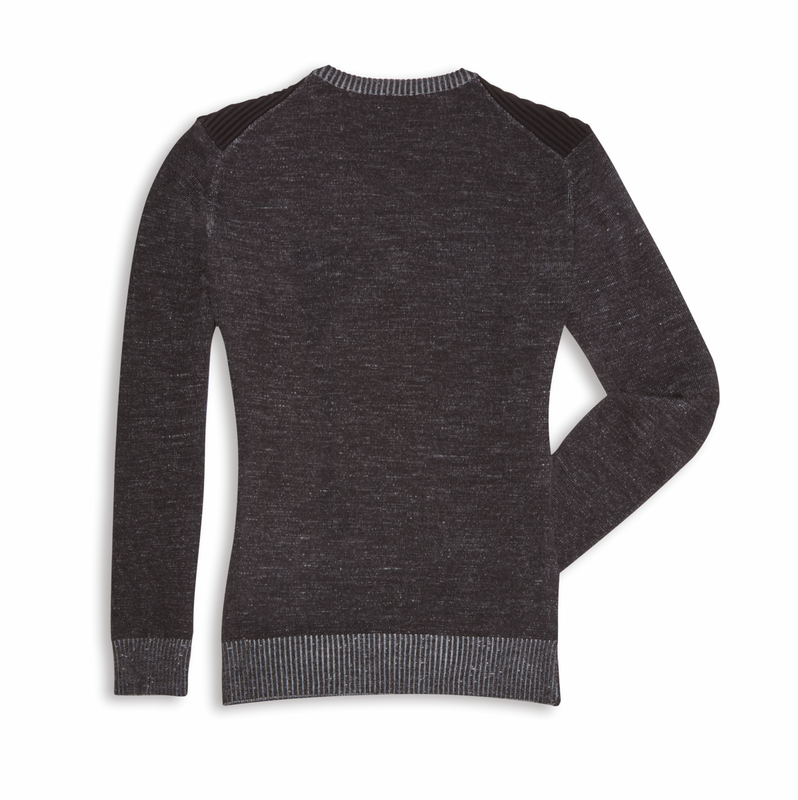 Deep V-neck on a warm merino wool sweater for women. 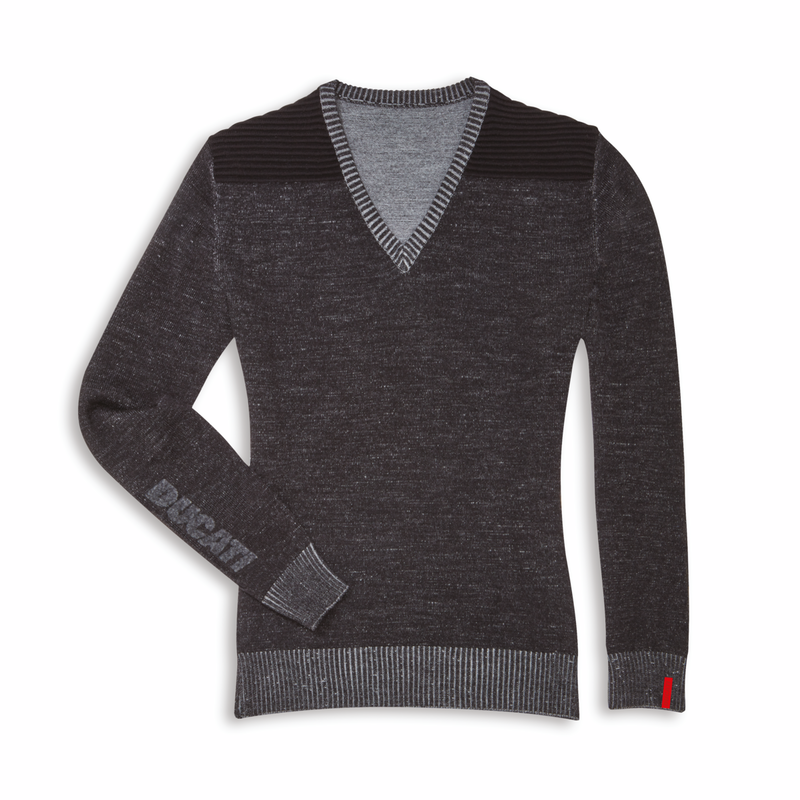 With its two-tone look, it stands out for the unusual placement of the Ducati logo on the sleeve. To feel 100% Ducatista at work and in your free time.